A battle game featuring all the new Pokémon from the Gold & Silver versions. Challenge the Pokémon Cups by selecting six Pokémon and taking three into each battle against other Trainers. Beat the trainers and earn Gym Leader badges as you work your way to becoming Pokémon Champion. Winning Cups earns you prizes, including new Pokémon and game modes. 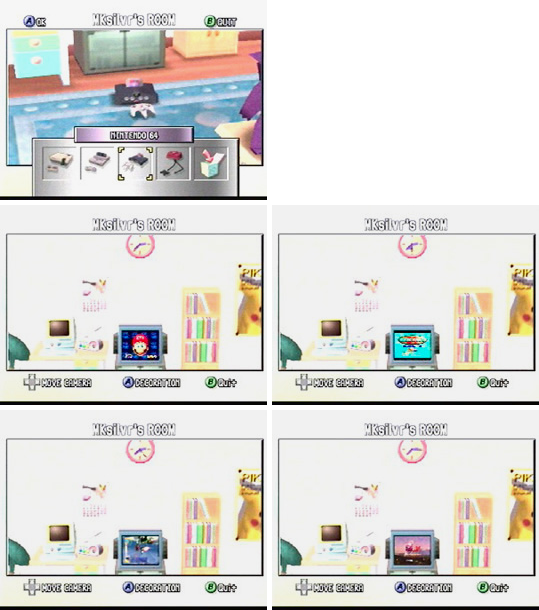 Using the N64's Gameboy Transfer Pak you can play the Pokémon games on the big screen, upload them to battle in 3D or store them in the Pokémon Box. 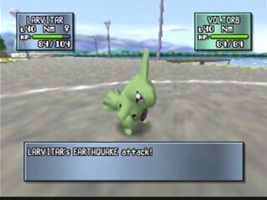 The game also includes multiplayer battles and a selection of minigames. 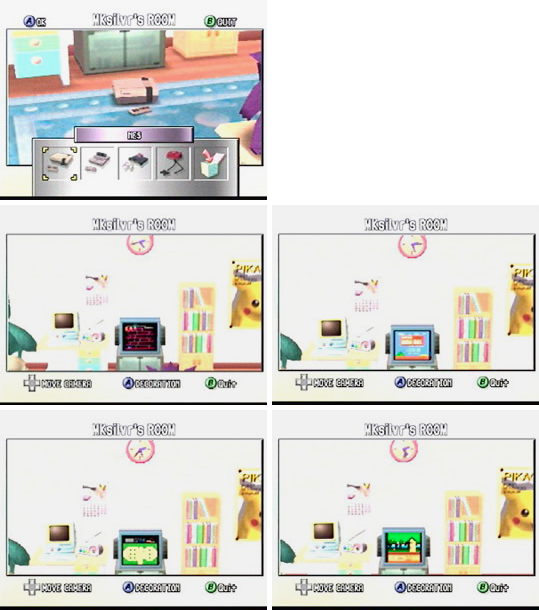 If you arrange to have some of your money sent home in Pokémon Gold/Silver or Crystal, then your mom will occasionally buy you gifts in the game to decorate your room with. These include various Nintendo consoles. 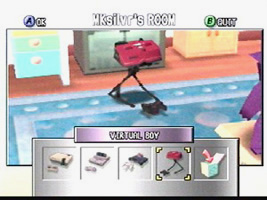 In Pokémon Stadium 2's "My Room" mode you can decorate your room in full 3D, and when you use a console you can see stills of games from that system on the TV. No games appear on the screen.